The Sanskaar Vidhya Niketan, an initiative of The Sanskaar Valley School and the Dainik Bhaskar Group, entered its 3rd year with the start of the new session on 4th July, 2017. 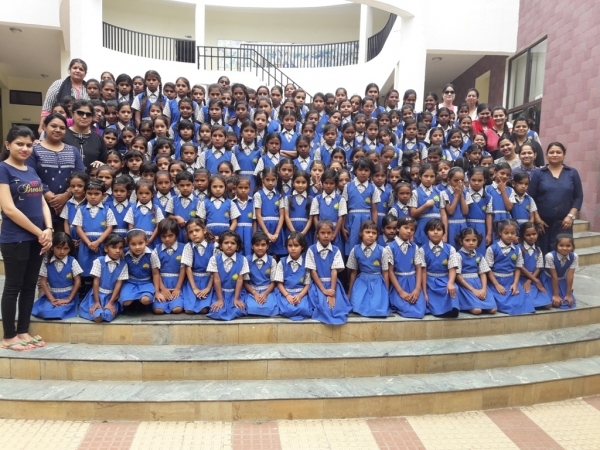 It is a great step ahead in the journey of Sanskaar Vidhya Niketan (SVN) from its inception in 2015 in TSVS campus with 105 girls to its third year with 383 girls in classes from KG I to grade V! 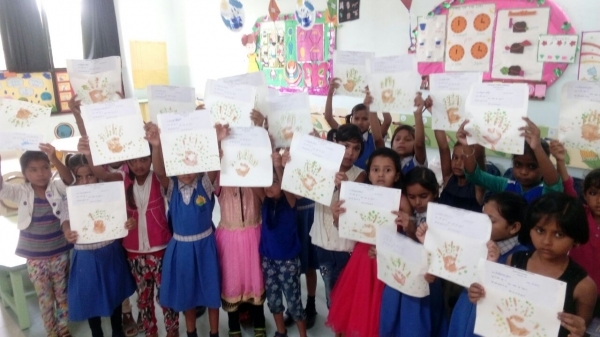 With the aim of providing holistic education to the underprivileged girls, and promoting ‘Girls Right to Education’ with the belief that education for girls is the single most effective way to improve the lives of individual families as well as to bring economic development to poor communities, SVN has surely come a long way! The first day of the new session was an exciting one for both the old as well as the new students. 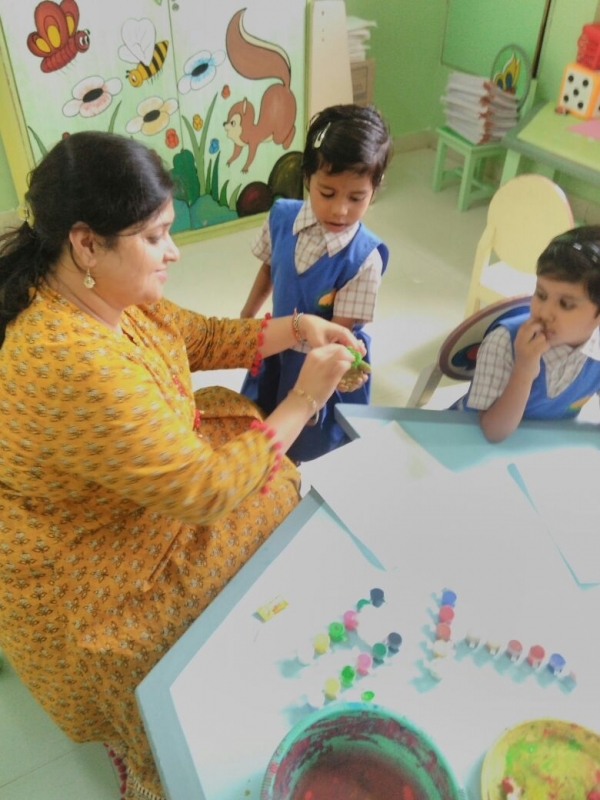 The older students were happy to be back in school after the summer vacation while the new ones were excited about the classes and the whole ambience of The Sanskaar Valley School. A special assembly was conducted by the school teachers to welcome the children to a new session. 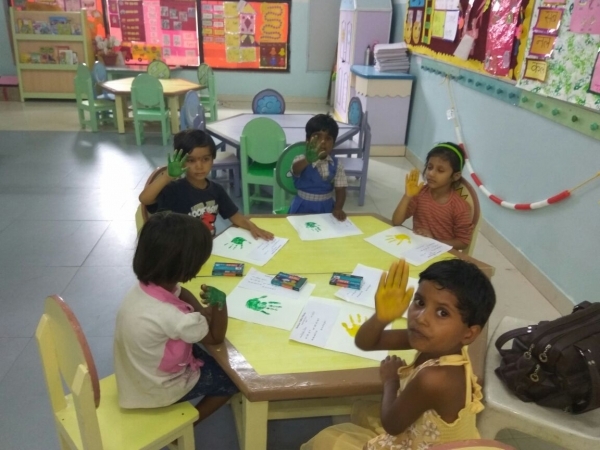 The girls were told about pastoral care and good hygiene through a role play by the teachers and the rules to be followed in school were chalked out. Fun worksheets and take away activities were done in each class to make the first day of the school fun and memorable. Seeing the difference Sanskaar Vidhya Niketan has been able to make in the lives of its students and the response of the parents, the group is now opening 2 new branches; one in Press Complex, M.P Nagar and the second in the old city area. 200 girls will be provided free education in each of these 2 centres taking the total number of girls in SVN to 800! Books, uniforms, bus facility will be provided along with good infrastructure and other learning facilities. Qualified teachers have been appointed in the new centres and the medium of instruction will be English. Working closely with The Sanskaar Valley School, SVN has had two successful years and will surely continue to grow in the coming years. With enthusiasm at its peak, the Sanskaar family is all geared up to work closely with SVN and make a difference in any way they can.